Home > Our Physicians > Jaclyn H. Bonder, M.D. Dr. Jaclyn H. Bonder serves as the Medical Director of Women’s Health Rehabilitation in the Department of Rehabilitation Medicine at New York Presbyterian – Weill Cornell Medical Center. 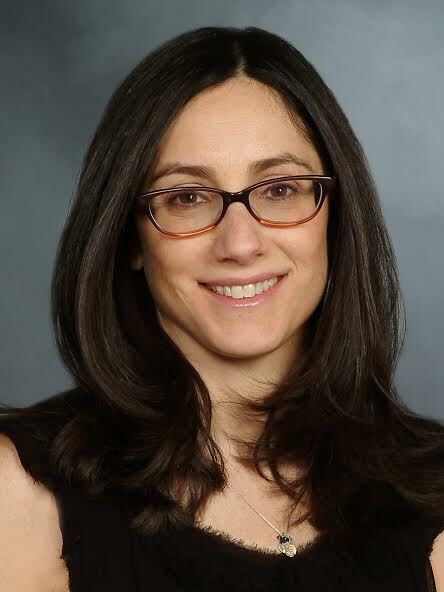 She is also Assistant Professor, in the Department of Rehabilitation Medicine at Weill Cornell Medical College. Dr. Bonder provides comprehensive musculoskeletal and rehabilitative care to women, with a particular interest in conditions related to pelvic floor muscle dysfunction and weakness, including chronic pelvic pain, urinary and bowel incontinence, as well as pain in lower back, groin, abdomen and hips. Her other areas of expertise include musculoskeletal problems related to pregnancy; post-partum pain, weakness, tingling or numbness; sports injuries specific to women; and rehabilitation following gynecologic surgeries. Dr. Jaclyn H. Bonder received her undergraduate degree from the University of Pennsylvania before attending medical school at New York University. She did her post-graduate residency training at the Rusk Institute of Rehabilitation Medicine of NYU Langone Medical Center. During her residency, she was honored with the position of Chief Resident and with funding to support growth of women's health rehabilitation in both academic and clinical areas. Dr. Bonder stayed on faculty at NYU/Rusk for four years, prior to joining the Weill Cornell faculty in 2014. Dr. Bonder aims to decrease pain in her patients while improving their quality of life. Her particular interest in treating musculoskeletal causes of pelvic pain, pelvic girdle pain and pelvic floor muscle dysfunction is a unique perspective on conditions which are quite common yet often overlooked, misdiagnosed and under treated. Pelvic pain can have multiple etiologies but in all of them, the muscles, joints and nerves of the pelvis are almost always affected, either primarily or secondarily. Dr. Bonder offers non-surgical treatment modalities to help improve patients’ symptoms and overall health. Dr. Bonder’s expertise in women’s health also allows her to give care to pregnant and postpartum women who are suffering with such conditions as back pain, pelvic pain, incontinence or diastasis recti. Many patients are unaware of potential treatment options for these issues so Dr. Bonder’s goal is to assist women feel better so they can continue to enjoy this special time in their life. As a mother to two young boys, she thrives on connecting to her patients through her own experiences. She lives in Manhattan with her children and husband. Dr. Bonder has been honored as Super Doctors- New York Rising Star ,for the past several years, which represents the top New York doctors in more than 30 specialties that have been fully licensed for 10 years or less.